Not sure where to stay? Let us help. See below for a list of our top recommended stays, each of which has been visited by the InMexico team. Located between the Caribbean Sea and Nichupte lagoon, is this 29-acre resort whose name, when translated from Mayan, means “dog nose.” Since March 2013, NIZUC Resort & Spa has grown from a small number of rooms to, now, 274 rooms where warm, earthy interiors mixed with its lush surroundings give this resort a perfect balance of modern harmony. 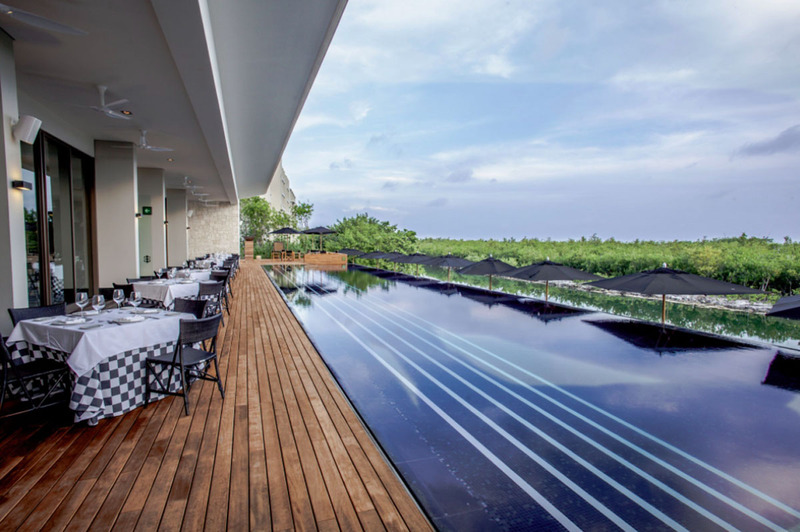 Six world-class restaurants, each with its own distinct culinary theme, will excite any food lover, while three bars, two tennis courts, black mosaic pools and a 30,000-sq.-ft. spa give way to ultimate tranquility. Sprawled out on the Caribbean shores of Cancun, this Ritz-Carlton resort celebrates the Mayan way of life. A total of nine dining outlets include the Mediterranean Fantino and the classy, The Club Grill, both recipients of the AAA Five Diamond Award 2016. Another notable dining outlet are the casitas, the resort’s handmade cabanas located on the beach that transform into private dining rooms at night, offering a romantic experience. Kayantá Spa (meaning “to be reborn”) features Mayan treatments along with plunge pools, whirlpools, steam rooms and more. Accommodations include guest rooms and suites and for those looking to splurge, the top-floor Ritz-Carlton Suite features exclusive club-level access and 2,460 square feet of spacious room. The resort also features two heated outdoor pools, a state-of-the-art fitness center and a first-class tennis center. This large resort has 448 room and suites with private balconies, marble bathrooms and stunning views. Its full-service Mayan-inspired spa features an assortment of treatments and amenities including a heated indoor spa pool. Gustino Italian Grill is the resort’s AAA Four Diamond Award restaurant serving up Mediterranean cuisine. A multitude of other dining options include restaurants serving southwestern, Japanese, Thai, international and a steakhouse, among others. For golf-enthusiasts, the nearby 18-hole Greg Norman-designed Playa Mujeres Golf Course offers plenty of play while a variety of pools offer refreshing escapes. 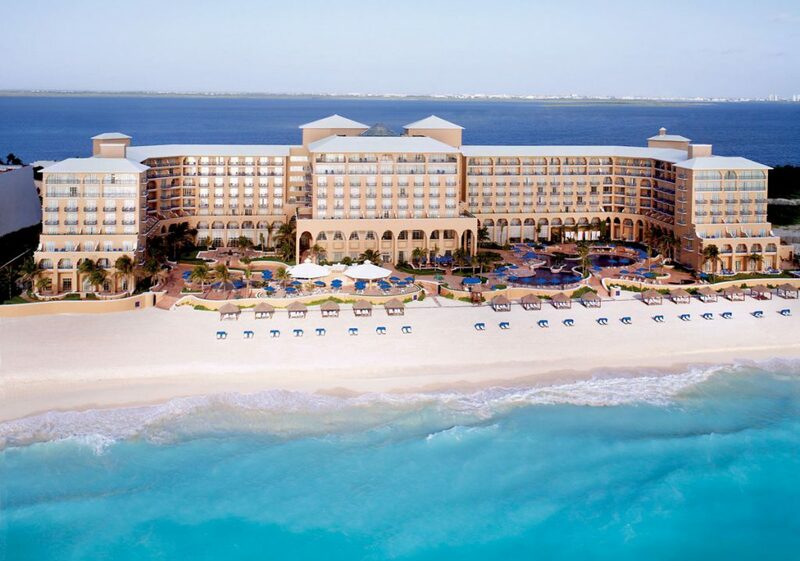 For a lounge-worthy stay in the heart of Cancun’s Hotel Zone, The Westin Resort & Spa, Cancun is ideally located. 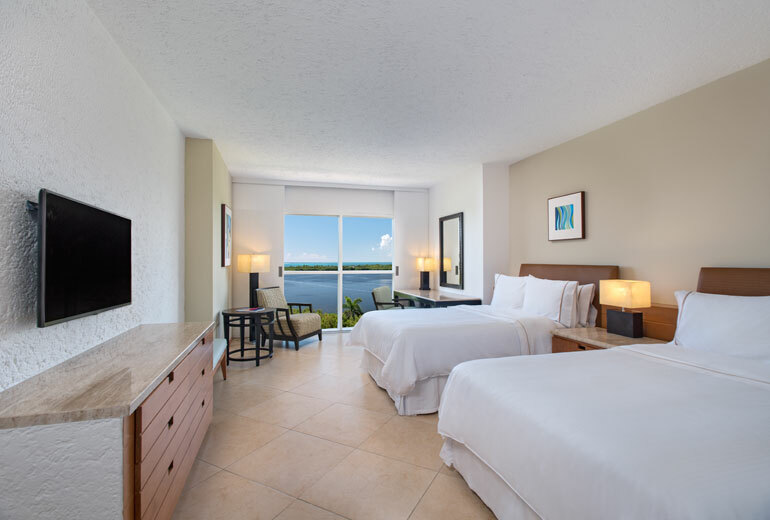 Whether it’s a lazy vacation on the sandy shores or an adventurous trip through nearby Mayan ruins that you’re looking for, this resort is great for both. The hotel features 376 rooms, 18 of them suites, with contemporary décor and many with private balconies or terraces. For an upgraded stay, opt for The Royal Beach Club, which includes exclusive services and a private pool. Additional pools include one along the Caribbean Sea and two more toward the Nichupte Lagoon. Dining choices range from casual, ocean front dining to elegant, contemporary cuisine. The Heavenly Spa by Westin offers six indoor treatment rooms, outdoor massage huts, a Jacuzzi, a traditional Mexican Temazcal sauna and steam bath that’s heated with volcanic rocks along with a fully equipped fitness center.